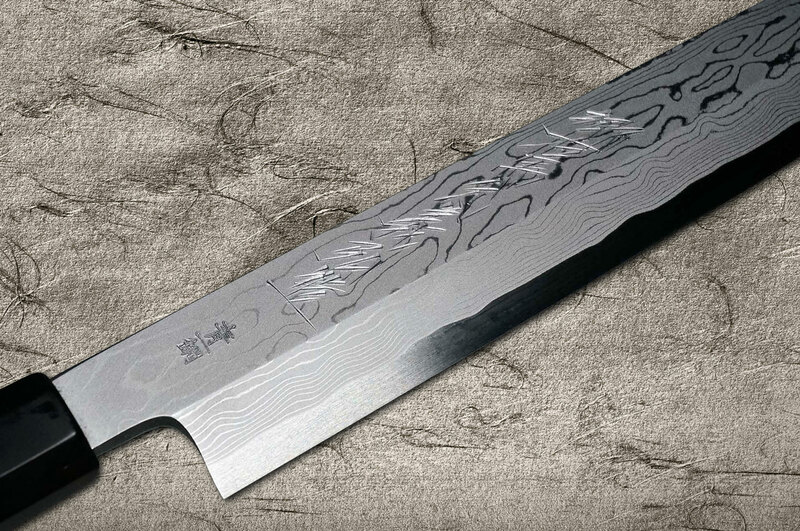 The Suminagashi (special damascus) pattern of Goh Umanosuke Yoshihiro is more beautiful than those of any other damascus knives. 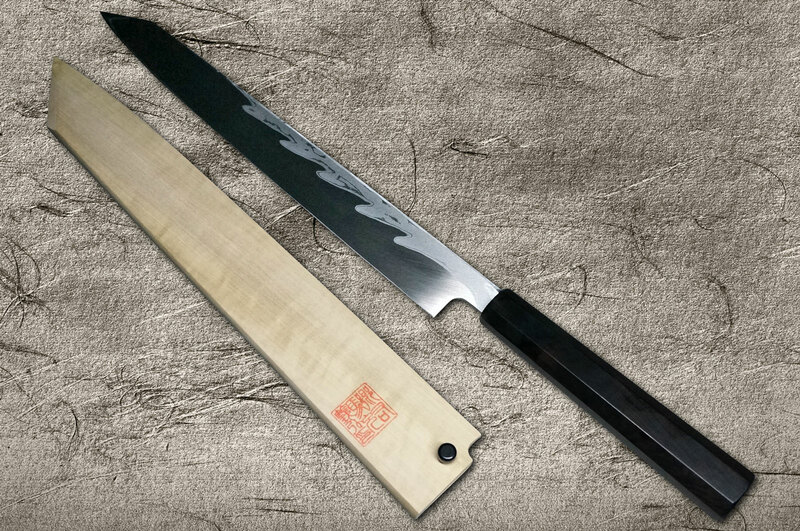 In addition, this Yoshihiro blade is made with a core of Blue Paper (Aogami or Aoko) No.1 Steel, known as Japanese prime high carbon steel as “Yasugi Hanage”. 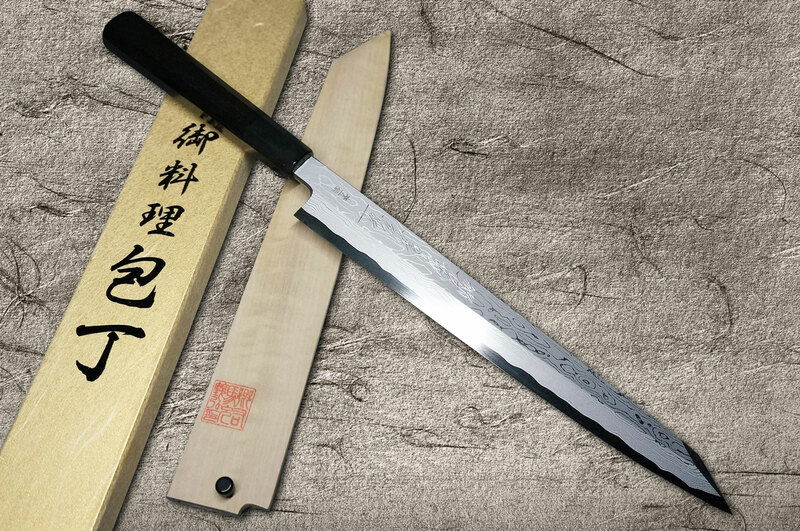 Please be noted that the combination of Aogami #1 and Damascus pattern is quite unique and rare. This material, Aoko #1, has highest wear resistance and toughness because of special hardness (hardness of 62-63 HRC). 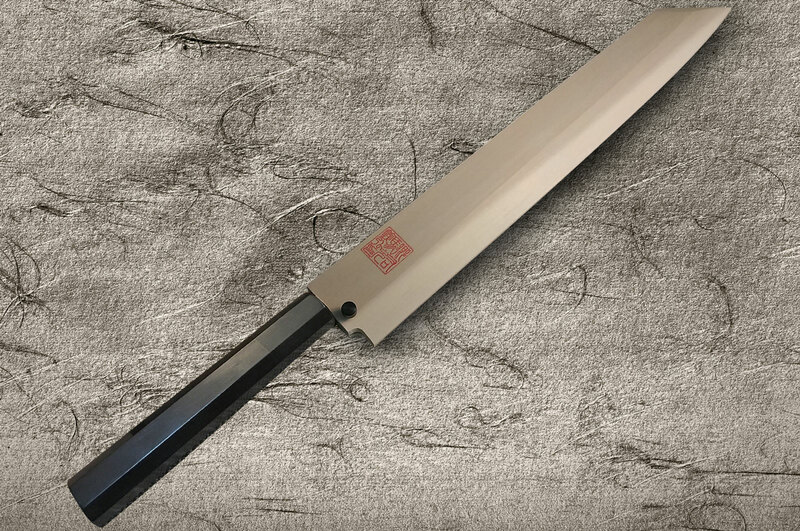 Very good choice for high end Japanese kitchen knives. In addition to that, the Natural Magnolia Saya Sheath with Japanese Traditional Certificating Seal-impression is included.